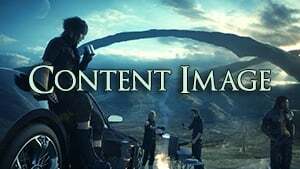 Places & Locations in Final Fantasy XV are listed on this page. The world portrayed in the game is called Eos, and is a technologically advanced world with flying vehicles, paved roads (marked as green on the Map) and buildings mixed with medieval features such as castles. The overworld will open up to a vast open world at a certain point during the game's main story progression. Players can explore the world, climb mountains, fish and search for items and uncover Quests either on foot on with one of the game's Mounts & Rides. Fast travel in the Regalia is possible but costs gil. The world also features a day night cycle with cloud formations, and one in game day lasts a real life hour. Due to the Plague of the Star, the nights will lengthen as the days go on, effecting certain game mechanics. You can go back and check previously visited locations before taking on the game's final boss. Camps are safe havens, where players can rest up, cook and eat Meals prepared by Ignis for status buffs and sleep to maintain their buffs. Experience earned during combat are converted into leveling progression when the party stops to sleep. You may forego sleeping to attempt a low level run. Knocked out players lose accrued experience so it is important to rest when you can. The party can go 3 days without sleep, after which they lose any status buffs. 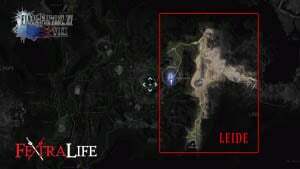 Players can also use camps for fast travel as well as look through the pictures Prompto has snapped with his Photography Skill. Other havens like campers and inns can be found in the game's locations where similar functions can be performed. Please see Royal Tombs and Dungeons for these special locations.